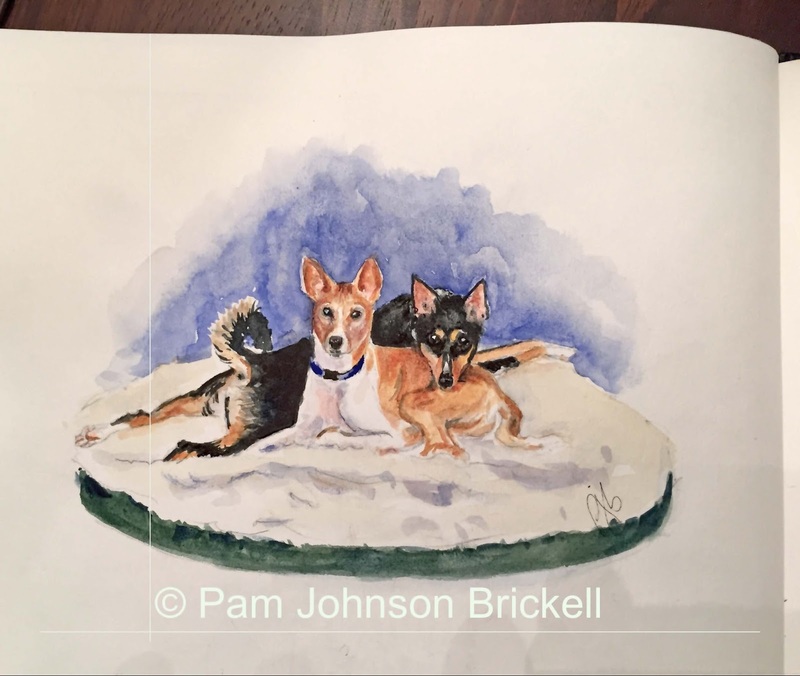 We were lucky to have over 16 years of adventures with a tricolor Basenji we named Grizzly Girl. As we did with all our pets, they got multiple nicknames over their lives. Her favorite was Zippy. She was a huntress and had the sweetest nature, though, it was her way or the highway most of the time. A Basenji all the way! Oh how we miss this very special girl! It took me over a year to even be able to begin this tribute page. As you can see, it's not done yet. 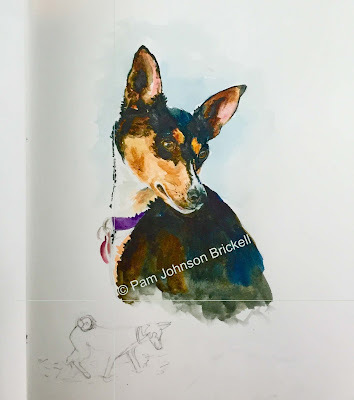 On the left page of the journal spread I'm going to celebrate both our beloved, departed Basenji's. Dudley was my boy. Grizz was a daddy's girl. You can see Dudley's tribute page here.